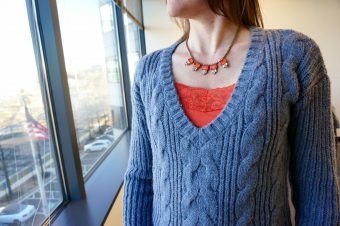 This is the seventh post in a 10 part series on how to wear the Pantone Seasonal Colors (Pink Yarrow). For posts on the other colors visit the Pantone Seasonal Color Page. According to Pantone, Pink Yarrow is “tropical and festive” (I’d go with bright and girly myself) or “a whimsical, unignorable hue that tempts and tantalizes.” (That one I can agree with.) You are no shrinking violet in this color!! Pink Yarrow is a captivating and stimulating color that will lift your mood and the level of attention you receive. How fun! This isn’t a color that allows you to enter a room unnoticed. It’s loud and bold and exudes confidence. I love this color combined with a standard black and white combination but it will also do well with navy or a coordinating brown as the neutral base. Vince Camuto Tiered Asymmetrical Blouse (also available long sleeve) paired with my Hugo Boss Suit Jacket, Givenchy Necklace and Target Pencil Skirt | Ted Baker Blushing Stripe Fitted Tee (I love the attention to detail that Ted Baker has). Similar to Primrose Yellow, it is a great accent color if you aren’t ready to go all in on pink. Right now there are tons of great accessories – I, of course, focused on the shoes. Use them to take your standard black and white uniform up a notch. And because I know that not everyone loves heels as much as I do … I also included a host of flats. Want more pink? Look for girly shapes to match the girly color and ground with structured solid neutrals. Feeling bold? Go for a pattern – there are lots of floral options for spring. This is a great way to add Pink Yarrow without going overboard. 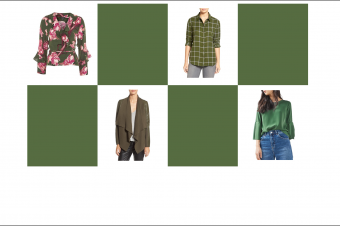 This post is meant as a guide to give you ideas on how to effortlessly incorporate new colors into your wardrobe. Hopefully you found some inspiration. You can also check out my Pinterest board for more inspiring items and outfits. Copyrights © 2017 My9to5Shoes. All Rights Reserved.